Whether you’re about to launch a new website or it’s time to renew the hosting on your current site, you may consider trying out a free web hosting service. I mean, it’s free, so you have nothing to lose, right? Wrong. With a free hosting service, you could be throwing away your entire online presence. That’s because free web hosting has a collection of disadvantages. Here are the top reasons you shouldn’t use a free hosting service. Can’t handle the traffic—Simply put, free hosting services aren’t set up to handle large amounts of traffic. If you have a blog on your website, you’ll never be able to grow it with a free host. As soon as the traffic starts rolling in, your website will crash. Even if you don’t have a blog, you’ll have a difficult time building a successful website because if too many customers come at once, your website will go down. This costs you money, and most visitors will never come back after a bad experience. You’re far better off using a reliable paid hosting service that can handle all the traffic you can bring in. Shared space with spammy websites—The best hosting services don’t allow spammy websites to be on their servers. 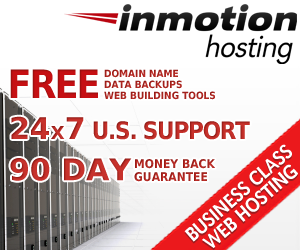 As a result, these websites often end up using free hosting options. What does this mean for you? It means your website will be sharing server space with spammers. It’s like living in a bad neighborhood and hanging out with the wrong people. It reflects badly on your website, and it can actually lead to penalties from the search engines. Too much downtime—Even if your website isn’t getting a lot of traffic, the websites you’re sharing server space with might. This can negatively affect your website, causing it to crash. Free hosting services are notorious for having a high amount of downtime. They don’t guarantee uptime because they can’t. Their services just aren’t good enough. There’s something to be said for “you get what you pay for.” Look for a paid hosting service that guarantees at least 99% uptime for your website. No customer support—Customer service is crucial for web hosting. When your website goes down or you have some other technical problem, you need to be able to get a solution from your host immediately. Free hosting services are unable to offer a high level of customer support. This means you have to wait a long time to get any response (if you get a response at all), and during the meantime, your problems persist. Instead, find a paid hosting service that offers 24/7 friendly customer service. Ads crowding your website—There’s an old saying that there’s no such thing as something for free. There’s always a catch, and when it comes to free hosting, the catch is usually that you have to include banner advertisements on your website. If you’re trying to build a serious web presence, these advertisements can make it nearly impossible. They make your website look cheap and spammy. Simply put, if you’re serious about building an online presence, you should never use a free web host. It’s just not worth it. Your website will be limited, and you’ll never be able to gain any momentum. You’re much better off making the small investment in a quality, reliable monthly hosting that guarantees at least 99% uptime for your website. Which hosting service do you use? Leave a comment with your favorites and why you use them.